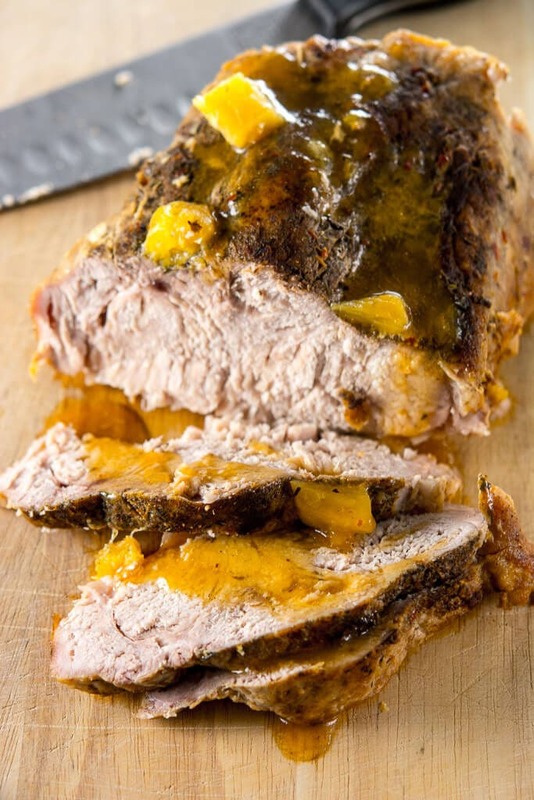 Only 6 ingredients stand between you and this delicious pork roast unlike any other pork roasts you’ve ever had for dinner! Why settle for the same old thing you always eat when you can make a tender juicy pork roast that’s bursting with flavor?! 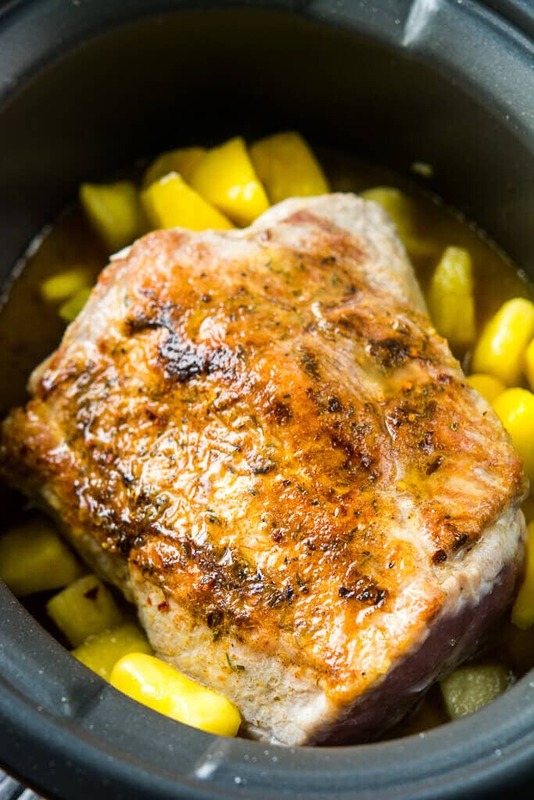 Utilize the slow cooker to have a simple but delicious dinner on the table… that’s my mission! And I love coming up with recipes that are simple to make but push the boundaries of typical meals. One of my favorite places to create shortcuts in dinner prep is by using dried seasoning blends. Go ahead, take a look at the ingredients listed on the bottles! So many time, things you would have had to buy several different seasoning for are already packed up in one nice little bottle. And you can often use them for more that what you might think! 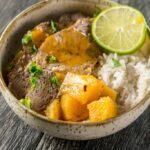 This Caribbean Jerk seasonings is one of my favorites to use in lots of dishes! 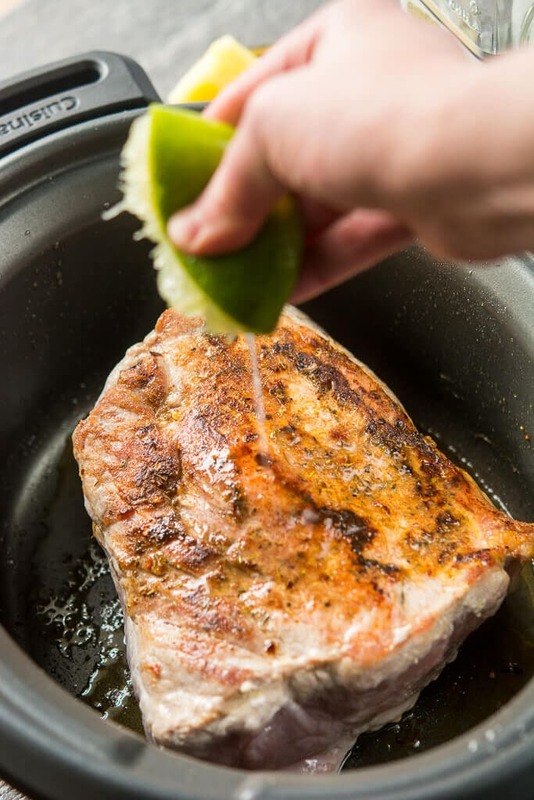 Use this simple seasoning and a little canola oil to sear up this lean pork roast. Deglaze the pan with a little tequila to give it a nice little kick. 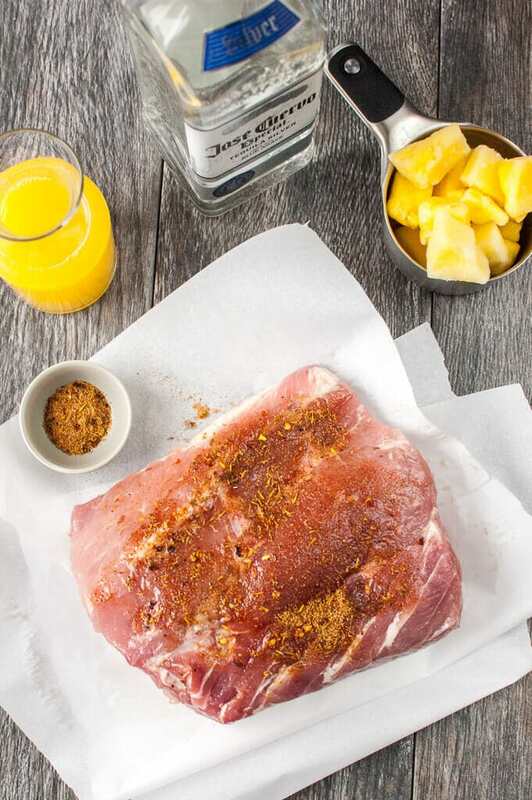 Then add some pineapple juice and frozen pineapple chunks for some sweetness to offset the spice and give the roast plenty of liquid to keep it juicy all day. 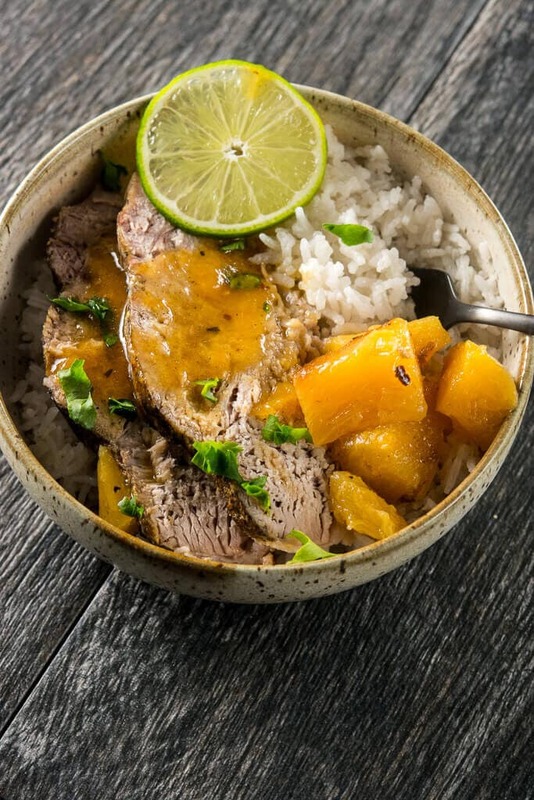 Come home this this cooking in your slow cooker all day and your house will smell so amazing! I’m also going to include a bonus recipe for how to make coconut rice. 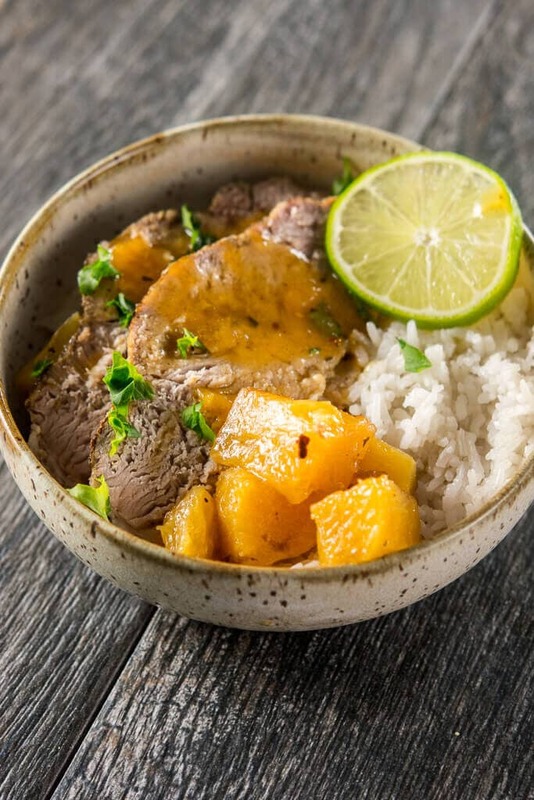 Serve these together and you will swear you’ve been transported to a tropical island even though it’s still the dead of winter. 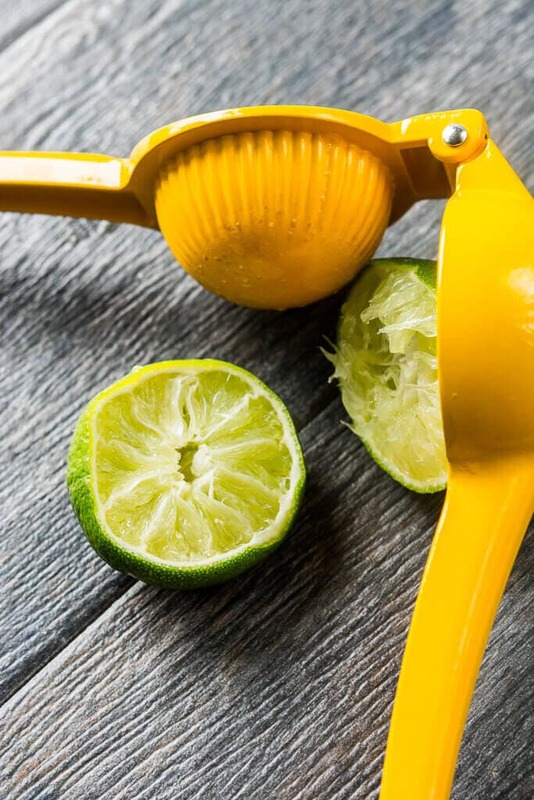 How many limes do I need for this? From the photos it appears that they are squeezed over the meat as it is being seared. Is that correct? Oops! I’ve updated the post now. It’s one lime (so about 2 tablespoons) and you add it when you add the pineapple juice.